As the country is still stunned by the inhumane murder of Sharon Otieno, who was allegedly killed by Governor Okoth Obado’s aide, a case of a cold-blood murder of yet another young lady has emerged. Monica Nyawira Kimani, 28yrs, is reported to be murdered by Citizen TV’s Jacque Maribe’s Fiancé, Joe Irungu. Joe Irungu, who is well known as Jowie Joe, was arrested by the police and taken to Kilimani Police Station to record a statement. The 28-year-old victim, Monica, was murdered in Kilimani. Her corpse was found with a slit throat and dumped in a bathtub in her apartment along Dennis Pritt Rd, Kilimani. Monica was killed just after jetting back in the country from South Sudan. Her corpse was discovered by her sister and brother, who had tried to reach her the night before. Jowie Joe is a person of interest, according to the police, and he is suspected to be involved in the murder of the 28-year old woman. According to the report from the police, Monica Kimani was in the company of a white man, who was her neighbor. Later on, three other men joined them, but only two were familiar to her. The mysterious third man was in a white kanzu, and he identified himself as a pastor. The mysterious man in a white kanzu is believed to have killed Monica mercilessly. The police arrested a man that is suspected to have shot himself on the shoulder. The man is said to have gone to Nairobi hospital for treatment, and he was successfully discharged after proper treatment was done. Nonetheless, the police did not find any bullet rounds in the crime scene, and the residents in the area did not hear any gunshots. But Jowie Joe remains in police custody. 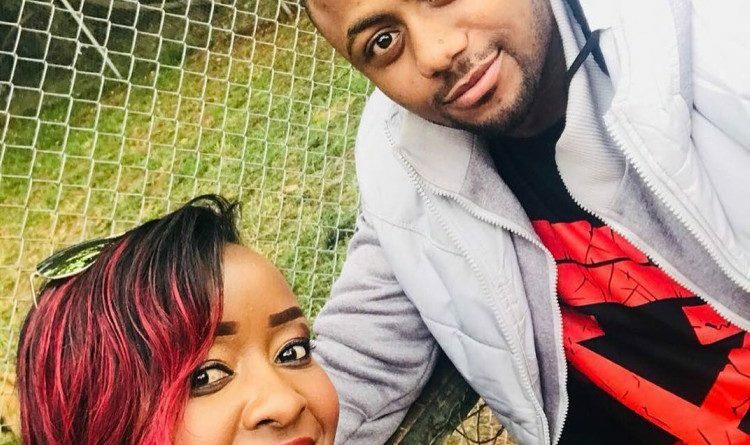 Jowie is not a new name on the social media, especially after his fiancé, Jacque Maribe, introduced her to the social media family a few months ago. In late August, the now-suspect, Joe Irungu, threw Jacque an engagement party and he went down on one knee. The proposal overwhelmed a lot of Kenyans, and they all showed their love for the sweet move Joe made to the popular Citizen TV journalist. The engagement party was so glorious, and also in attendance were other top media personalities including Monica Kiragu, TerryAnne Chebet, Shix Kapiengaand more. Joe Irungu is a known party animal, and also, he happens to be a trained mercenary for hire. The man who engaged Jacque Maribe works in the UAE as a bouncer, and he has been hired severally to be a part of the private security personnel of politicians in the country. However, it is not a clear indication that Joe is a person of interest in the murder of the young lady. Nonetheless, the police will update the country about what they find and whether Joe Irungu is innocent in the case. His fiance, Jacque Maribe hasn’t made any comments about the situation, yet.